White House architect James Hoban was honored on Irish postage stamps. 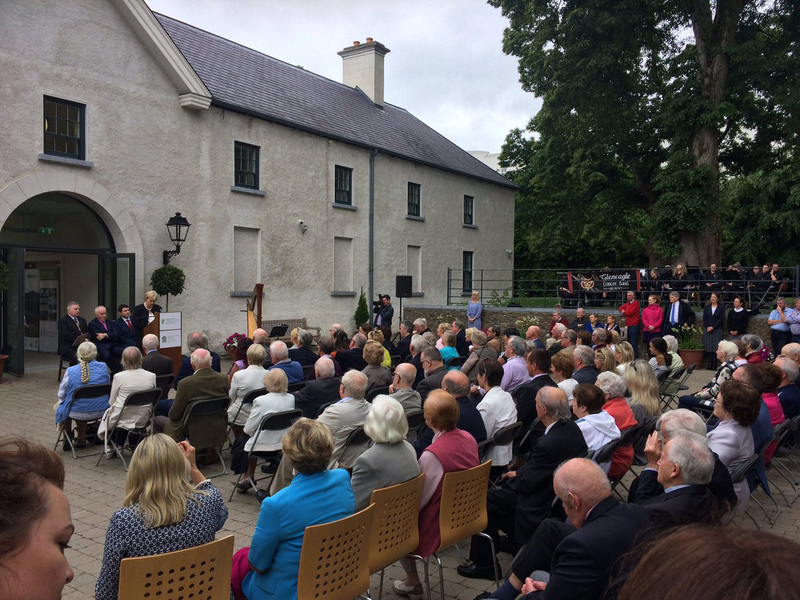 In September, the James Hoban Societies of the United States and Ireland organized a day-long celebration of the Irish connection to Washington, D.C., from its foundation as federal capital to its position as a world center of diplomacy, culture, and learning. In particular, the event recognized the 200th anniversary of the rebuilding of the White House and U.S. Capitol after their destruction by fire in the War of 1812 by Irish-born architect James Hoban, and the 65th anniversary of the interior rebuilding and modernizing of the White House by John McShain, the son of a Derry immigrant. When the city of Washington was commissioned in the late 1780s, the territory chosen for its early footprint was a sylvan tract already occupied by settled families of well-respected immigrant stock, most of them living in modest mansions and engaged in farming. 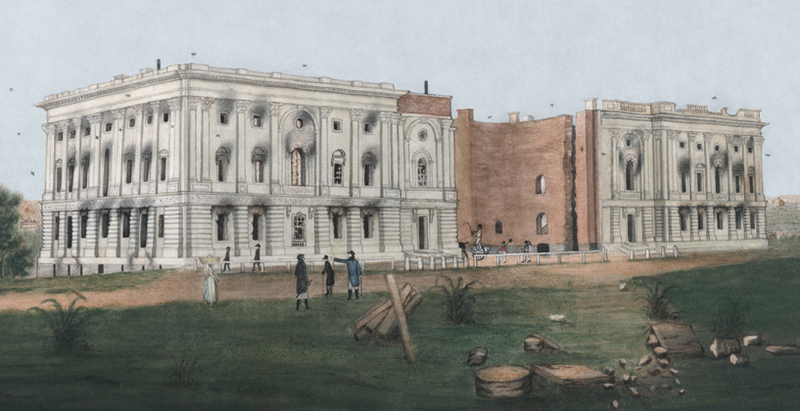 The U.S. Capitol under reconstruction following the War of 1812. Families like Barry, Carberry, Carroll, Corcoran, Hoban, Lalor, and Lynch were – or were descended from – the talented and dynamic emigrants from Ireland for whom the prospect of involvement in a project of unlimited possibility but considerable risk had a natural attraction. In the roll call of Washington’s early “movers and shakers,” the number of individuals and groupings of Irish origin or ancestry is truly remarkable. 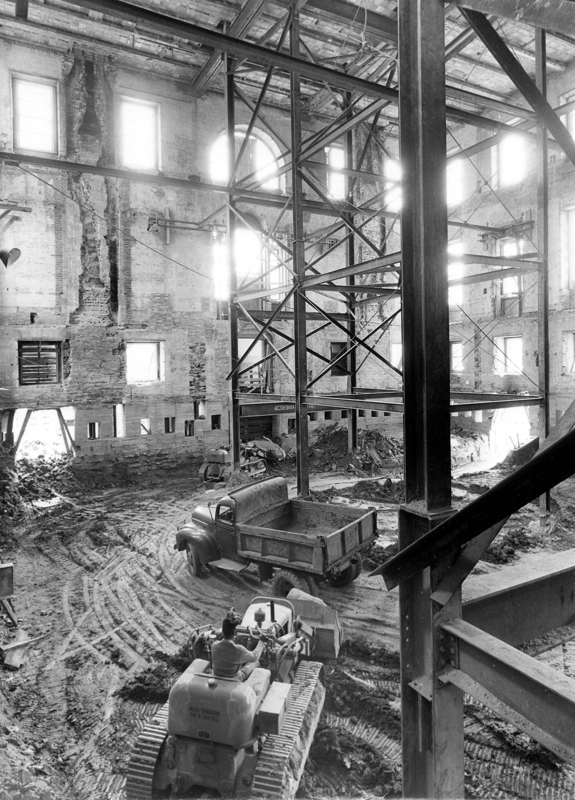 The shell of the White House during the 1948-1952 renovations led by John McShain. In addition to the major families and figures, there were hundreds of Irish clerics, traders, foremen, laborers, domestics and fortune-seekers who made up the diverse community of a town that took some time to find its shape and rhythm. The green hills and white houses of Ireland that had been the natural environment of many of these Irish immigrants were replaced by the green hills and white houses of Maryland, itself a unique political and religious entity in the English colonial system. Even Benjamin Henry Latrobe, the promoter of an English-style architectural approach favored by President Thomas Jefferson, was the son of an Irish-born father. But it would be James Hoban who would leave the first permanent Irish mark on the nation’s capital. In addition to winning the design competition to reconstruct the White House, Hoban, who was born near Callan, County Kilkenny, also supervised the construction of the U.S. Capitol building as well as numerous other public buildings throughout the city. 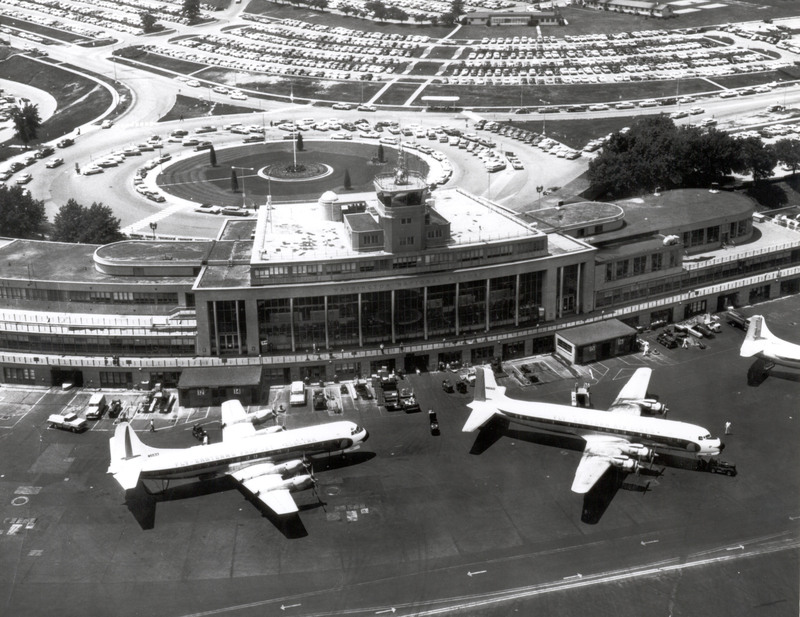 John McShain built Washington National Airport, seen here in 1941. 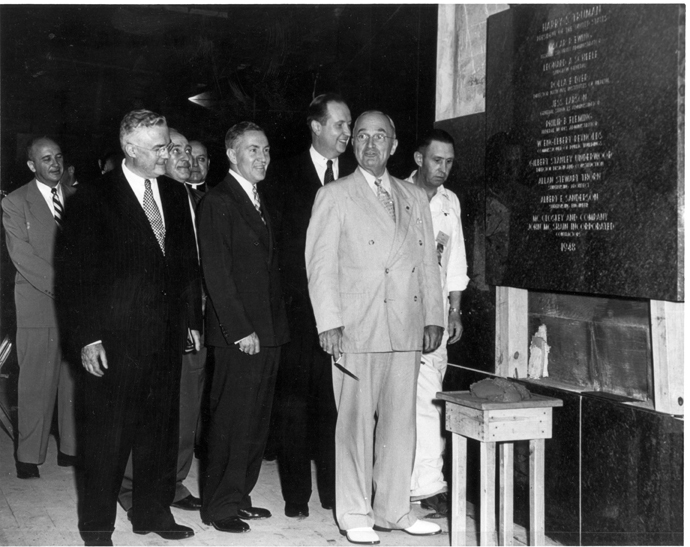 More than 130 years later, John McShain, who took over his immigrant father’s construction company in 1919 at age 23, was selected to head the gutting and reconstruction of the White House interior under President Harry Truman, which was completed in 1952. McShain also oversaw the construction of the Pentagon, Washington National Airport, the Jefferson Memorial, the Kennedy Center, and the Library of Congress annex, earning him the nickname “the man who built Washington.” He also had a strong personal connection to Ireland himself, purchasing an estate in County Kerry in 1956 and bequeathing it to the Irish state upon his death in 1989 to be incorporated into Killarney National Park. Wow, great work, Irish America staff. I’m going to be checking out those videos! So amazing! Thanks for sharing.